Most people come to the village of Ightham, Kent, to see the marvelous moated manor house of Ightham Mote. How many stop to enjoy Ightham's parish church, I wonder? 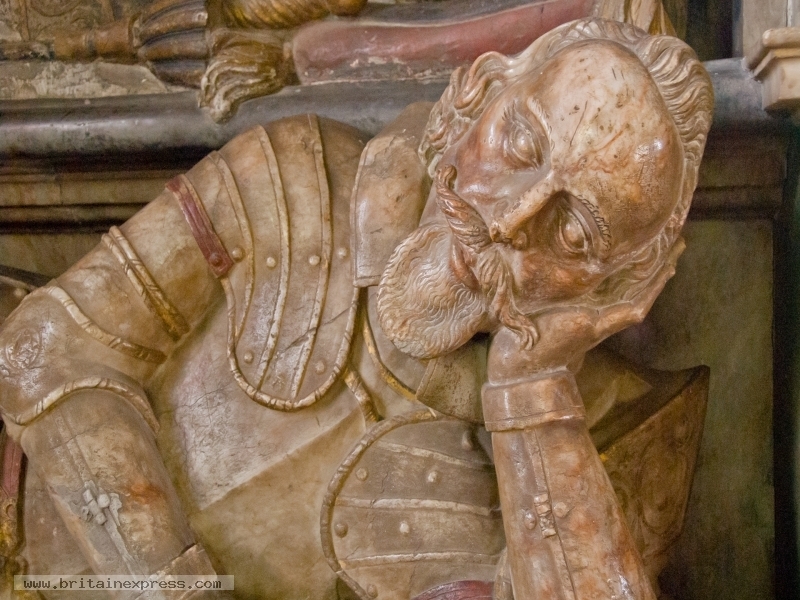 The church of St Peter is a treasure house of historic monuments, primarily to the Selby family of Ightham Mote, like the Jacobean recumbent effigy seen here. The oldest monument, however, is that of Sir Thomas Cawne, who built Ightham Mote and died around 1374.